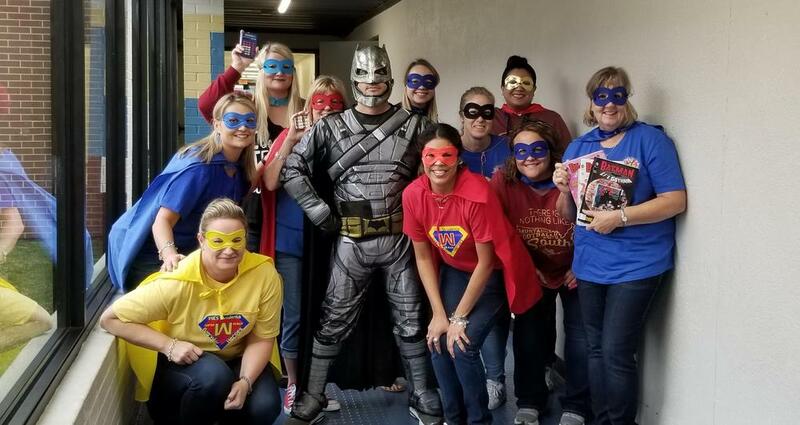 WES Superheroes Save the Day! Come See What's New at the WES Book Fair! Join the fun all you book lovers! The Book Fair is here Williams Elementary! 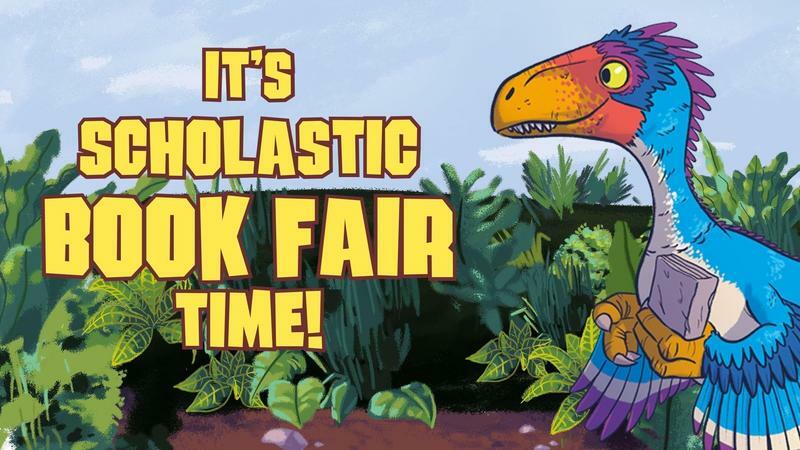 Book Fair will run from Tuesday, April 23, 2019 through Friday, April 26, 2019 at Williams Elementary. Click on the title link above to visit our online ordering portal at the WES Bookfair Website where you can download book fair information flyers and shop online. Parents and family members will also have the opportunity to shop with their favorite students during WES Books and Bingo Family Night on April 25, 2019 from 5:00-6:30 p.m. and all day Friday, April 26, 2019 during Field Day. We hope to see you there! Come see what's new at the WES Book Fair so you can find a great book! 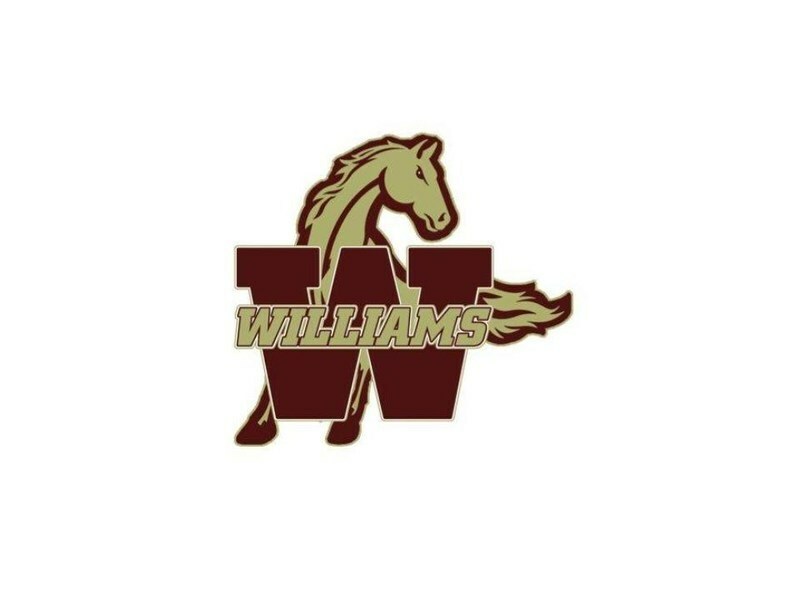 Please click on the title link above to view this month's Mustang Memo. Friday April 26th is Field Day at WES! 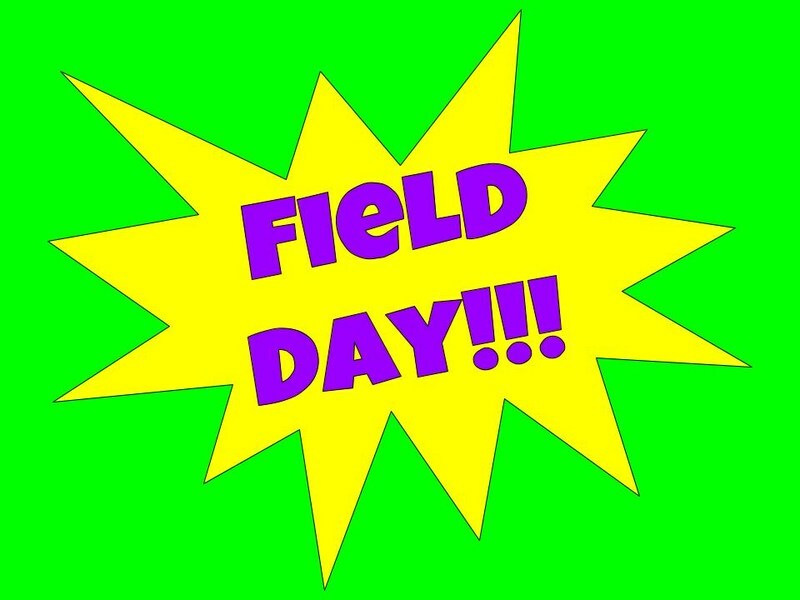 Your child's Field Day will be this Friday, April 26, 2019. Please send your students to school with sunscreen already on them. The morning of Field Day, we will be giving them their Field Day shirts to wear for the day. We are looking forward to a fun filled field day! 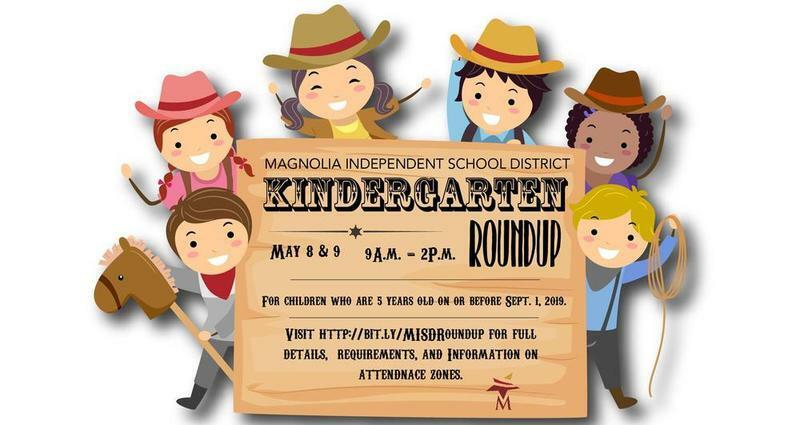 Magnolia ISD has scheduled registration dates for children who will begin Kindergarten in 2019-2020. Kindergarten Round-Up will take place at each of the elementary campuses May 8th - 9th from 9 a.m. - 2 p.m. Registration is come-and-go with no appointment necessary. Eligibility for Kindergarten is for students who turn 5 years old on or before September 1, 2019 and reside in the Magnolia ISD boundaries. You must bring copies of the following documents to Kindergarten Round-Up in order to complete the registration process: birth certificate; social security card; current immunization records; parent or guardian’s driver’s license; and proof of residency in Magnolia ISD boundaries (current utility bill or lease agreement). Registration will not be accepted without copies of all the required documents. At Williams Elementary we are always looking toward the future. Each Monday is A.C.T. Monday. A=Armed Forces C=College T=Trade School You choose your path to a successful future. 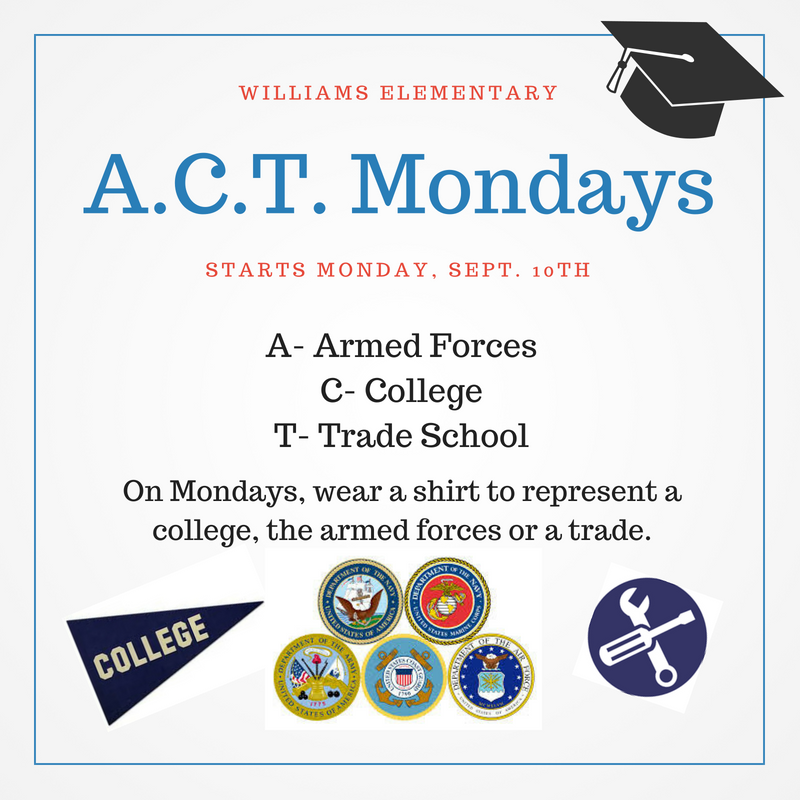 Each Monday wear a shirt to represent a college, the armed forces or a trade. Dream It, Believe It, Achieve It! Order Your 2018-2019 WES Yearbook Today! You can order your 2018-2019 WES Yearbook online now for just $20! Click on the headline link above to download and print the flyer. Order your WES Yearbook today!